The Winter Arts Festival celebrates the arts in the City of Casey and runs every June, July and August. The festival gives local artists and arts groups exposure and recognition while encouraging the community to participate and appreciate the fantastic local arts in Casey. Each year, visual artists, bands, choirs and performers participate in this exciting program by holding concerts, exhibitions, open studios, workshops and more. 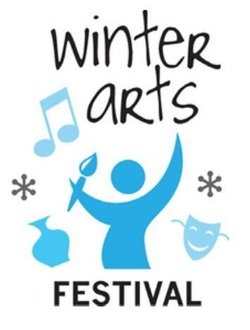 The Winter Arts Festival is an excellent spring-board to promote your arts practice to the Casey community. (Taken from City of Casey website). Journey Bound is again to have a significant presence at this year's Winter Arts Festival. Winter F.U.N with Winter Arts! Our June 17th F.U.N. kicks off our participation in the Casey Winter Arts Festival with some free activities! Jasmine Beth will lead our Song Writing Workshop from 10am-12 noon and this group will perform at the evening FUN 17/6 and the matinee FUN 18/6 on the following day at 2pm. Sharon Start will lead a Beginners Ukulele Workshop from 1pm-2pm and this group will perform at the evening FUN 17/6 and the matinee on the following day 18/6 at 2pm. Michael Prizeman will lead a Jam Session from 6.45pm-7.20pm prior to the commencement our our evening FUN on the 17/6. Please use the comments box below to register your interest in the Song Writing Workshop and/or the Beginners Uke.